Years ago my mother had an elderly cousin who continued to live in her own home well into her eighties. Over a period of time my mother noticed that her cousin had become fearful and upset for no apparent reason. After delving into the source of her cousin’s distress, my mom found her cousin complained of men coming to her door demanding money for roof repairs when no repairs were needed. My mom set up a “sting” and waited one day for the men to show up. When they did, she told them never to return and that the police had been informed of their shenanigans. They vanished. 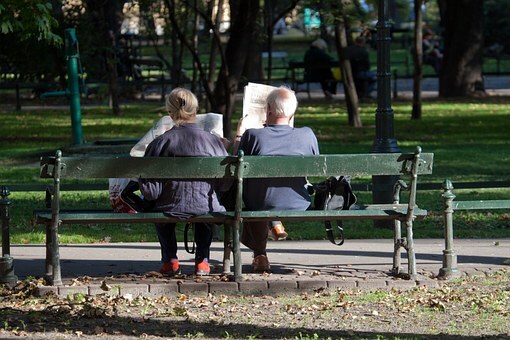 I am sure all of us have stories or have heard of stories about schemes to defraud seniors. Very commonplace is the Grandparent scam– when a fraudster tricks a senior into believing that their grandchild is in trouble and in immediate need of money. It certainly is worth being aware of the kinds of scams that target seniors. When you think of the possibility of it happening to you or someone you love, it becomes even more poignant and you need to know how to take action. We can all work to protect ourselves heading into our retirement years. March 2016 marks the 12th anniversary of Fraud Prevention Month in Canada — the annual education and awareness campaign that began in 2004 by encouraging Canadians to recognize, reject and report fraud. There are many resources available to seniors and people planning to retire, for those interested in protecting themselves from fraud and scams. The Competition Bureau provides information on the commons scams targeting seniors, such as identity theft, credit card/debit card fraud, online scams, as well as phone and door-to-door scams like the one I described at the beginning of this blog post. They also provide tips to help you protect yourself from fraud. The Canadian Anti-Fraud Centre provides a toolkit to support seniors regarding fraud prevention and awareness. The Office of the Privacy Commissioner of Canada provides information on identity theft and tips on how you can prevent it. The Royale Canadian Mounted Police provides a “Seniors Guidebook to Safety and Security”, which covers a variety of topics including scams, as well as elder abuse, safety in the street and in a vehicle, programs and services, as well as links to useful and authoritative contacts and resources. Wondering why seniors are the targets of scam artists? “The sad truth why seniors are prime targets for fraud” is an article outlining some of the reasons. While the article is written from an American perspective, the same rationale applies in Canada too. Education and awareness are key to protecting our financial and physical safety and security heading into our golden years.